The CIA said all those involved in the murder of the Washington Post columnist should be held accountable. On the subject of Arab apologists for bad behaviour, none stands taller than the US President Donald Trump who issues a gobsmacking statement in which he cosied up to Riyadh despite his own intelligence agency’s findings over the death of journalist Jamal Khashoggi. Pointing the finger of blame at some members of Saudi Arabia’s Crown Prince Mohammed bin Salman’s inner circle, the CIA said all those involved in the murder of the Washington Post columnist should be held accountable. However, Trump opined: “We may never know all the facts” about the murder, and insisted the USA would “remain a steadfast partner” of the kingdom. While all this is going on one of the worst ever humanitarian disasters in living memory is unfolding in the Yemen where calls for a ceasefire are neither abided nor respected. Quite how the bromance will play out between MBS, Trump and Trump’s son-in-law Jared Kushner remains to be seen. 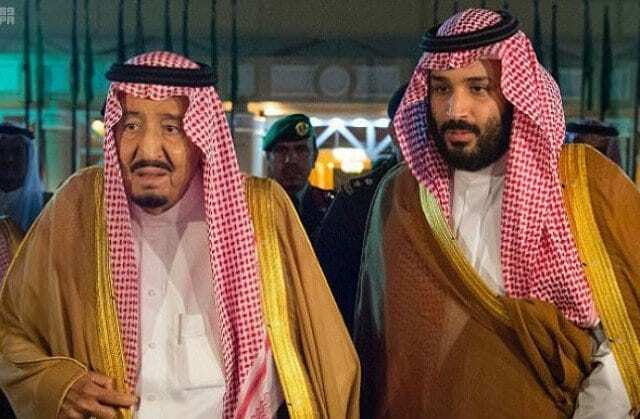 There is still a school of thought that suggests MBS’s position of power is fast dwindling and his days are numbered while others say he is stronger than ever. There is no doubt that under MBS, Saudi has gone rogue but then again the leader of the free world is also regarded as a rogue in some quarters; whatever the outcome Trump’s support for MBS is utterly indefensible. Any moral leadership in either Riyadh or Washington is now running on empty.